After a long winter spent indoors, many golf enthusiasts are eager to hit the links this spring. As with any other sport, it’s necessary to adopt a workout regimen to condition the body and get back in shape. To prepare for the demands of the golf course, below are three effective exercises to rebuild strength and improve stamina. Although proper foot placement and arm extension make a difference in your game, a good grip is key to a perfect swing. If you haven’t held a golf club all season, let your wrists become reacquainted with the weight. To improve your chip shot, exercise the small muscles in your hands and arms. Use the thumb and forefinger on the right hand to control the wrist hinge while practicing chipping. As you move the club upward to prepare for a swing, try to keep the hinge intact as you move the rest of your body. Playing with stiff muscles can cause serious pain and discomfort in the arms, shoulders, and lower back. To avoid injury and prevent golfer’s elbow, use the hand walks exercise to loosen up tight muscles. From a standing position, bend forward and place both hands on the ground. Slowly move your hands forward until it looks like you’re about to do a sit-up. Then, walk your feet toward your hands, making sure knees remain straight. When you feel a stretch in leg muscles, move the hands forward again. Use dumbbell bench presses to strengthen your dominant arm while improving shoulder flexibility. Begin by laying down on a bench, with the left shoulder and left buttock resting on the surface. The right side of your body shouldn’t be on the bench. Hold a dumbbell in your right hand, with the arm extended. Use the left hand to steady yourself on the bench. Slowly lower the hand holding the dumbbell until it is in line with the shoulder. After 10 reps, switch sides. 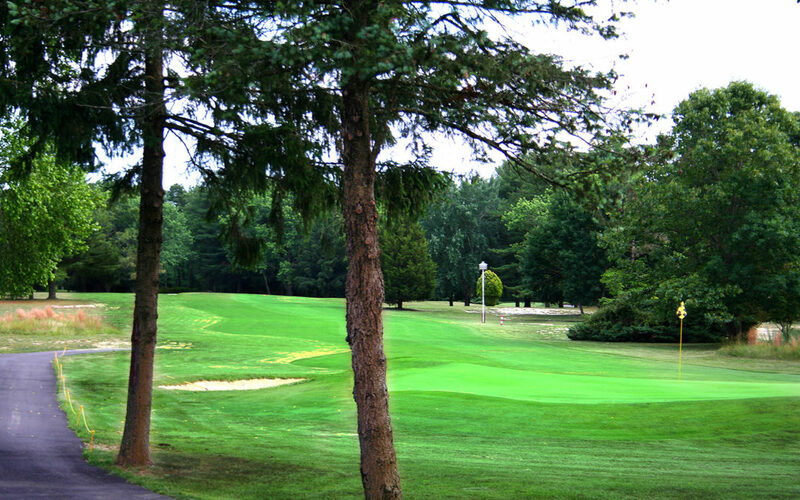 If you live in southern New Jersey and want to play a few rounds, you can hone your skills on our challenging greens, while our knowledgeable, friendly staff provide expert advice to further improve your game. After, re-energize with delectable fine dining at The Greenview Inn & Bar. Visit the golf course online to learn about membership opportunities and rates. Don’t forget to follow us on Facebook to see photos of the golf course and event venues.